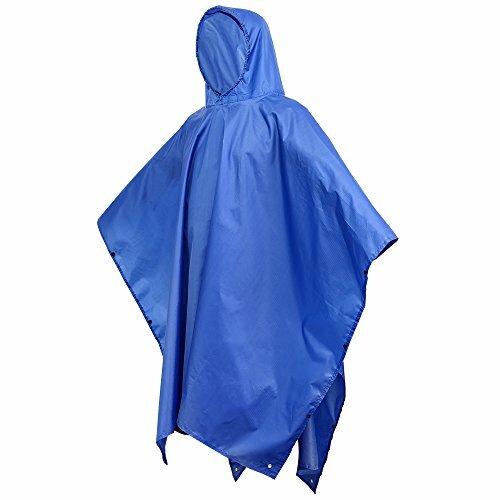 Rain ponchos may come in different colors, sizes and fabric material but all serve one purpose- to keep the wearer comfortable and dry in all types of weather, especially in emergency situation. While there are cheap and disposable ponchos, it’s always wise to pick the best kinds you can take on your adventurous journeys. Aside from providing ventilation most rain jackets will not offer, these products are designed to give protection from the rain and the chilly wind. 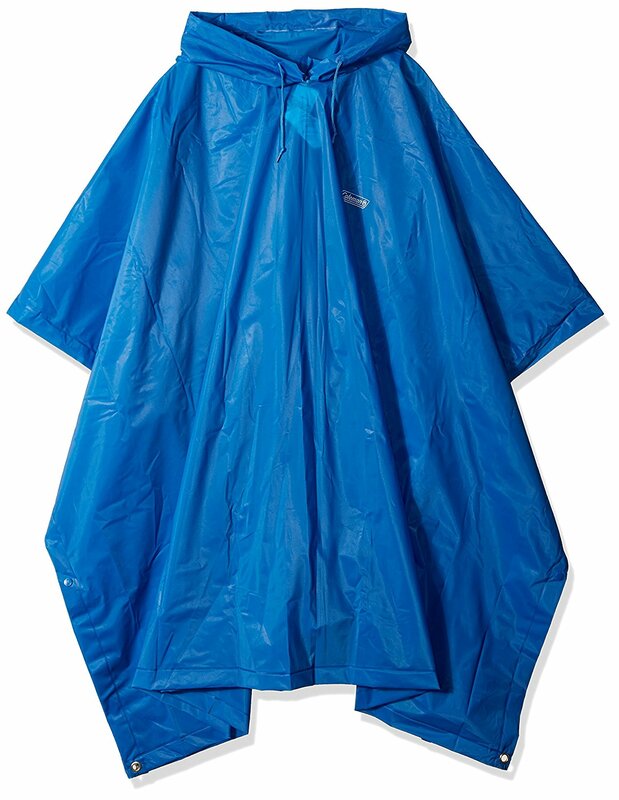 Here are three of the best rain ponchos in our list. Perfect for camping and hiking, the Coleman Adult EVA Poncho makes staying comfortable and dry in the outdoors possible. Compact and lightweight, this rain gear is also 100% waterproof and made from pure EVA. This means that this rain poncho is free from PVC. Moreover, it comes in two colors, clear and green. No matter the kind of weather you have to get through, this Eva poncho will come in handy. Complete with a reusable storage bag, you can carry and store this adult rain poncho in your backpack and car. Simple in style, it goes well with any fashion style. It also fits most body type and features a hood with an adjustable drawstring to ensure rain does not enter through the neck area. The side snap closures keep wing flapping to a minimum and make the poncho easy to wear and remove in no time. More importantly, this lightweight and durable adult rain poncho is easy-on-the-budget. FIT - Length (from back of neck to base) 34", sleeve length (from neck to cuff) 28". Generous fit and can be worn over an overcoat or a backpack. Detachable Hood is generous and will fit over a hat or beanie. FULL-LENGTH HEAVY DUTY ZIPPER - Easy to take off and on. No struggling to pull the poncho over your head. 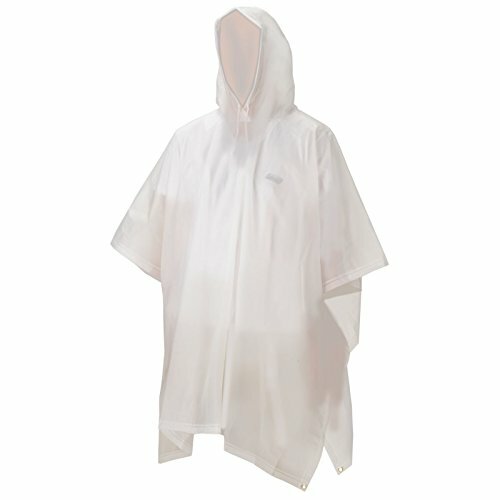 Available in a variety of colors, including beige/black, red, Pacific blue, taupe as well as Oriental Bird and Tribal designs, to match the personality and fashion style of the wearer, this multi-purpose rain poncho for women is of high quality and made from 100% waterproof polyester with a PVC backing. 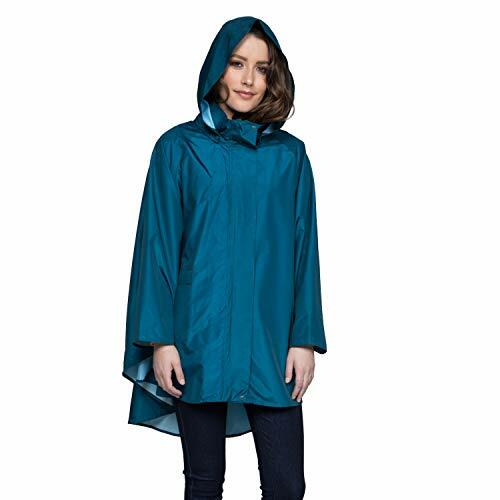 Best for any outdoor adventure, including festivals and concerts, this waterproof poncho is designed with watertight materials and can be worn over a backpack or overcoat. It is also packed in its own 8” x 5” pouch which makes it easy to store and carry without compromising fashion. Equipped with heat-sealed seams and a detachable hood, it also has a full-length heavy duty zipper and offers both wind and rain protection. Durable, fashionable and lightweight, this rain poncho is a perfect handy accessory to pack in your bag or car. Compact. Lightweight. Durable. Fashionable. These are just some of the features of this rain poncho that make it one of the best choices for people looking for outdoor protection from all kinds of weather, including inclement ones. Whether you plan to walk your furry friend on a rainy afternoon or watch your kids play soccer on a windy Saturday, this handy rain gear will keep you dry and comfortable. It has the durability and strength comparable with high end rain coats and jackets but without the bulkiness and added weight. This 3-in-1 rain gear is designed for outdoor activities, including mountaineering, fishing, hiking and camping. Made from 210 T high density polyester fabrics, this Terra Hiker Rain Poncho comes with thickened eyelets to withstand any weather and Velcro cuffs for maximum comfort. It also has enough space to accommodate a large capacity backpack while the drawstring pouch ensures easy storage and portability. Rain ponchos are great travel companions and offer versatility packed in portable and compact pouches you can easily store in your car or backpack. When looking for the right item to buy, consider the following: water-resistance, weight, features and durability. Although you might be tempted to go for cheap, disposable ones but it’s always best not to compromise quality.